Reviewing auto insurance quotes before you purchase a car may seem counter-productive. In actuality, it’s the smartest, most practical and most cost-effective way to proceed. The key benefit of searching for auto insurance before you buy is that the comparison-shopping process will reveal vital information about how much it will actually cost to insure the particular car that you plan to purchase. 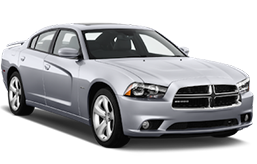 Therefore Freedom Auto Financing has provided a simple, free and no obligation quoting solution for its applicants below. If you don’t shop around for auto insurance before you sign on the dotted line for a car, you may end up spending way more than you have to! In other words, all cars are not the same and they don’t get insured the same way. If you don’t do your homework by researching the cost of auto insurance for preferred models, you may end up spending a ton of cash on car insurance. This amount may be a lot higher than you thought it would be. Some consumers do err by buying cars first and then checking out insurance rates! They are often shocked by exactly how much they have to pay! Since there are plenty of wonderful cars out there, some of which are much cheaper to insure than others, collecting quotes in order to discover the insurance rates for prospective models (such as those on your “short list”!) will be the smartest move that you ever make! In fact, the cost of auto insurance, based on fast, free quotes which you collect before you buy, may be a decisive factor in which auto you finally choose. Every expert recommends researching insurance rates for preferred models before making a deal on a new car. By contacting a reputable auto insurance company that offers accurate car insurance quotes online, you’ll be way ahead of the game. Without this tip at your disposal, you may really drop the ball! After all, paying for the car itself is just one expense that you will need to consider. The cost of auto insurance is another. By considering all aspects of a car purchase, including what you’ll need to pay in order to legally operate your vehicle on highways and byways, you’ll be able to put together a realistic budget, which helps you to understand exactly how much car you can afford! In addition to knowing the differences in insurance rates among different makes and models, you’ll also need to consider which auto insurance company offers the best deal! After all, every car insurance provider company is not the same! By taking the time to collect quotes before you buy a car, while you’re still in the all-important comparison-shopping phase, you’ll be able to peruse insurance quotes from a range of providers. This will mean that you are poised to get a great deal as you learn about realistic insurance estimates for different makes and models. As you can see, there is real value in shopping for auto insurance before you buy a car. When you compare quotes online, you’ll be able to get the vital information that you need, right from the comfort and privacy of your own home. In addition, you’ll be able to discover the pros and cons of certain autos, based on the amount that it will cost to keep them insured. 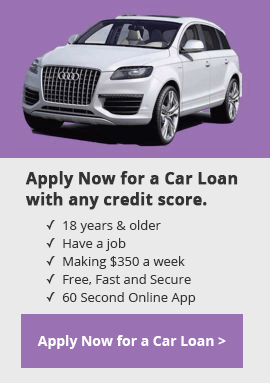 Do You Need a Car Loan? Get insurance quotes first!